Guy Ward || February 04, 2019 TMG The Mortgage Group Alberta Ltd.
Good news! It takes small changes for you to become mortgage free and save thousands of dollars in interest. A growing number of homeowners are taking actions to reduce their mortgage debt. Follow their lead. DID YOU KNOW: Increasing your payment by just $20 a month can have a positive impact. The extra money is applied directly against the mortgage principal, which decreases the amount of interest you will pay over the life of the loan. Annual or periodic lump sum payments: Depending on your mortgage agreement, you can make lump sum payments of 10% to 25% of the original principal amount each year. 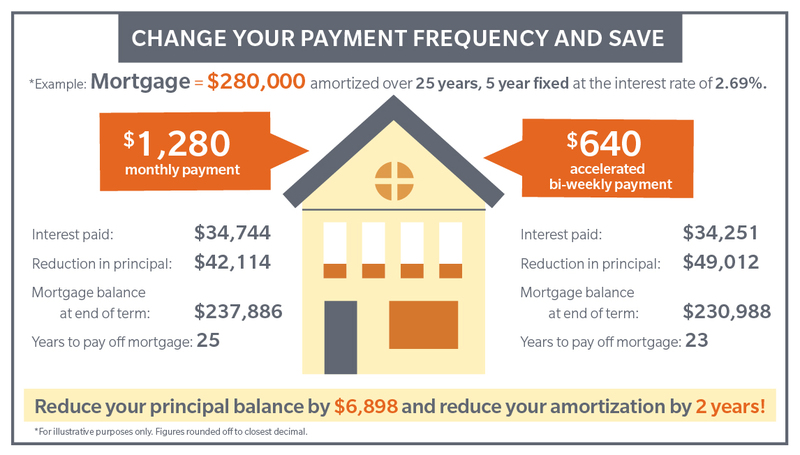 Increase your payment: You may also increase your current payment by up to 15%, 20%, or even 100% each year, depending on the mortgage agreement. Accelerated payments: Switch to an accelerated payment plan -- a small, incremental amount of money goes directly to the principal. This means in a 12-month period, you make the equivalent of 13 payments. Below is an example. The freedom that comes along with being debt-free is a dream for many Canadians. If you're not sure of your next step, let's talk. Together we can review your mortgage, look at your financial picture and devise a mortgage-reduction plan that works for you.